Aye, I really should have reviewed this game some ages ago. Hell, it was only due to my participation as a DJ on the late YarRadio (official online station of Pirates of the Burning Sea) that Bilgemunky Radio ever came into being. And I’d spent a good amount of time on their beta – testing the waters, so to speak. But perhaps it was these very things that had my mind moving elsewhere by the time PotBS was released – my relationship with YarRadio had soured, and they’d pulled the plug on the station well before the game was even released. And though I’d learned much about the game, none of it was legally yet available for public consumption. And, lest we forget, the blasted game was in development for, what, five years? Yup, as expected, Pirates of the Burning Sea is incredibly addictive. The mechanics are tricky at first, but easily learned. The animations – both land/avatar and sea/ship based are just plain beautiful (even if my particular pirate was somewhat on the homely side. Yar!) Ship and shore combat are tricky for non-MMO veterans, as the concept of buffs and counterbuffs are a bit foreign to me (I’m used to having “stab stab stab” buttons, not an assortment of special moves that must recharge, be used at certain times, or planned out into a sequence for maximum effect. New players are first asked to design their look and select their nation (English, French, Spanish, Pirate) and career (Navy, Merchant, Privateer, or, in the case of pirates, Buccaneer or Cutthroat.) They’re then led through a brief tutorial before being cut lose to explore the islands and follow missions – some being standalone adventures, and others part of a larger storyline that guides your character’s development. Early ship combat is tricky, as it felt like a single spitwad could sink my ship. But as my character’s skills built (and I stole better ships) things got easier. Sword combat was similar, and once I got the swing of things, missions stopped feeling like death traps and more like something I stood a good chance of surviving. This of course changed around level 15, which I believe is when more missions are meant to be done in groups, and are a bit much to tackle alone. The interactivity with other players is always a tricky part of MMOs. I’m very much used to games that I can pause, or that I can walk away from for a month and then pick up right where I last saved it. MMOs, however, keep on moving with or without you. If you ask another player to help you with a mission, they might ask the same down the road. If you buy something at the auction house, you’re buying it from another, real-person player. All this adds up to real in-game interactions, time tables, and (gasp) responsibilities. Which is the primary thing that makes MMOs tricky for me, but is also what makes for such a rich, limitless experience for those wishing to invest some real time and effort into the game. Pirates of the Burning Sea is great addictive fun. Many of the various ports have their own character, with non-playing characters doing everything from playing music and dancing to gambling or “soliciting for sailorly affections” (I’m referring to prostitutes, not overly close shipmates.) Ships and avatars can be customized to your heart’s content, the variety of missions can allow you to explore the Caribbean in your own fashion, while also directing you along an overarching storyline. But despite all this, there is one reason and one reason only that you absolutely MUST play this game, if only for a week, and that’s Tortuga – you have GOT to visit Tortuga in this game. An enormous city made up of shipwrecks, caverns, and jungle forts, I was absolutely in awe of everything. Never before in a video game have I been so enamored with a peice of ingame real estate – I want to buy a condo there. Ships are constantly battling in the harbor, drunkards are firing their pistols into the air, and you can wander for days. My only real complaint about PotBS is more a feature of its nature as an MMO than any direct criticism. Any game that extracts a monthly fee (understandable, since an MMO requires ongoing maintenance and upkeep by the developers) results in a game I feel I *have* to keep playing to get my money’s worth. If I get busy with other things for a while and only end up playing for a couple of hours, I feel I’ve wasted a month of subscription. This is in contrast to standalone games where you buy it once and it’s yours to play to greater or lesser extent as your schedule and interest dictate. But like I said – this is the nature of MMOs, and if you’re going to fork out $15/mo to maintain an online virtual life, Pirates of the Burning Sea would seem a far superior choice than some silly game where you’re an orc or a super hero. Pirates of the Burning Sea – come for Tortuga, stay for the game. Or stay for Tortuga – that might be what I do. This entry was posted in Games and tagged mmorpg, pirates of the burning sea by Bilgemunky. Bookmark the permalink. How dare you. lol. To shed a little more light on the bonus of a monthly fee, I will say that you’re not only paying to play a clean game. You’re also paying for future goodies that they will put into the game at the request of players. Another awesome factor is you’re never alone in an MMO. Make friends, join other pirates and have a good time. Games like these are why I just can’t get into Second Life. When you’re bored in SL you have reached the limit of the experience. In MMOs, when you’re bored… go do something productive or just hang out with your buddies. Bilge, if you actually STILL play this game, I guess I’ll start up my account again. I suggest anyone who is reading this and likes video games to join along in the fun. PotBS still needs more players and you can get yourself some free play if you go to the website. I think this must be a sign or something. I go into my account to add my CC and start up a subscription.. but what do I see? The last time I payed for the account was literally 1 year from today’s date. May 20, 2008. Creepy how some things work. If I finally get a house I’m going to spend money to upgrade my computer so I can play this game. That way I won’t be outside spending money and such…I’ll think of it as an investment. Despite the fun value.. I just hope you get you and yer hubby a homestead. This game will be here when yer ready bud. RAWR! Now this is a fun game.. I gotta say. Nice and relaxing, visually pleasing and fairly easy to catch on. Anything that I’m stupid about seems to get answered by a very friendly community. Everyone should pick it up and play Blackbeard server with yer mate! Really i loved it. Thanks a lot to give me a chance about this. Yarrr! This game was actually how I found Bilgemunky radio. Good review, game is awesome. Once you get the hang of the mechanics the PVP is where the fun is. Blackbeard seems to currently have the biggest population, but Antigua currently has a better class of player. 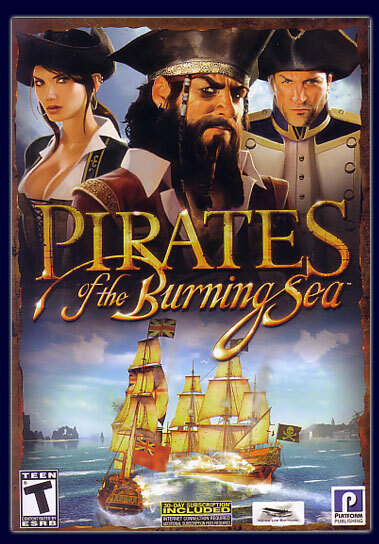 Whichever server you pick this is hands down THE BEST pirate video game ever made, and it continues to get better and better.